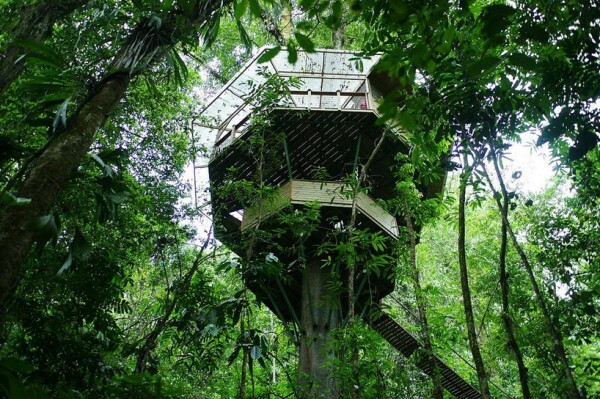 Simply one of these extraordinary sustainable treehouses would be amazing, but a whole network of interconnected treehouses Â is indescribable. 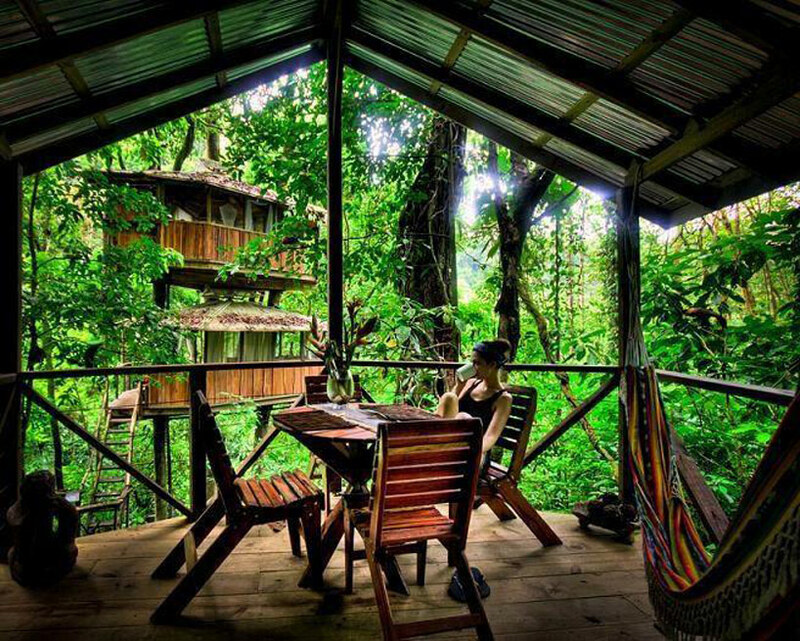 Â Finca Bellavista is a community of tree dwellers living high in the foliage of the Costa Rican jungle. 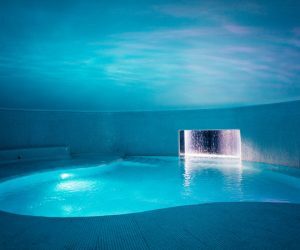 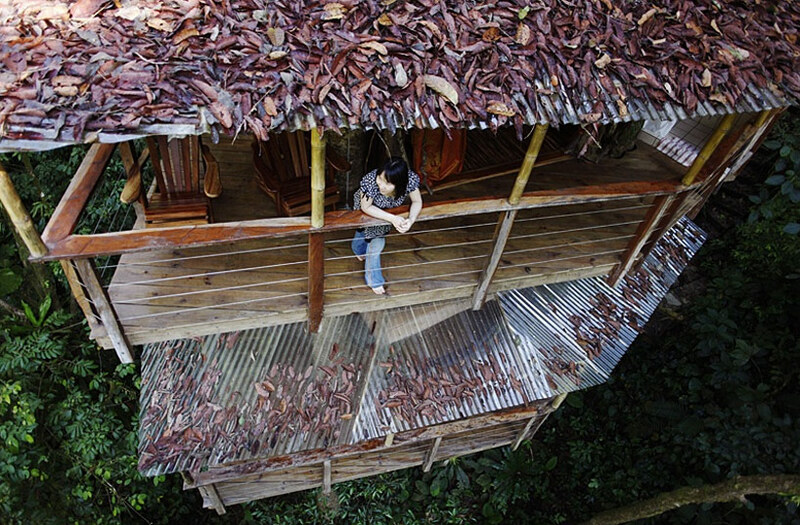 Community founders, Mateo and Erica Hogan discovered the 62-acrea property on the edge of the Rio Bellavista River with the intention of creating an escape for themselves. Upon brainstorming options for affording the property, they settled on building a treehouse structure and inviting friends and others to join them, the result is the interconnected treehouse community we've shared below. 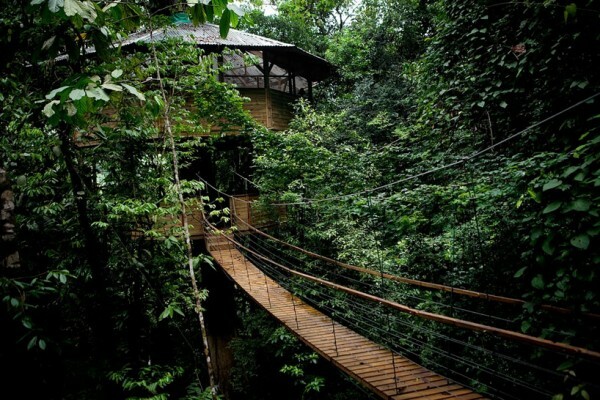 Each structure is connected by bridges and zip lines, which they liken to "the Ewok village in Return of the Jedi." 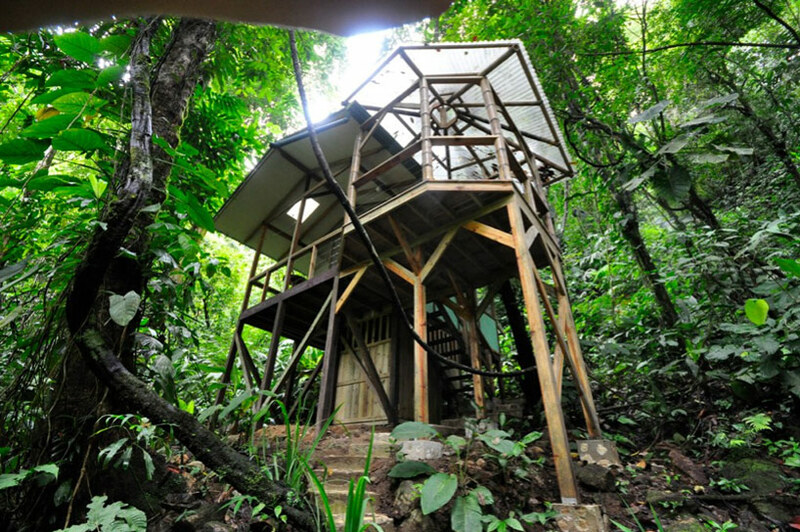 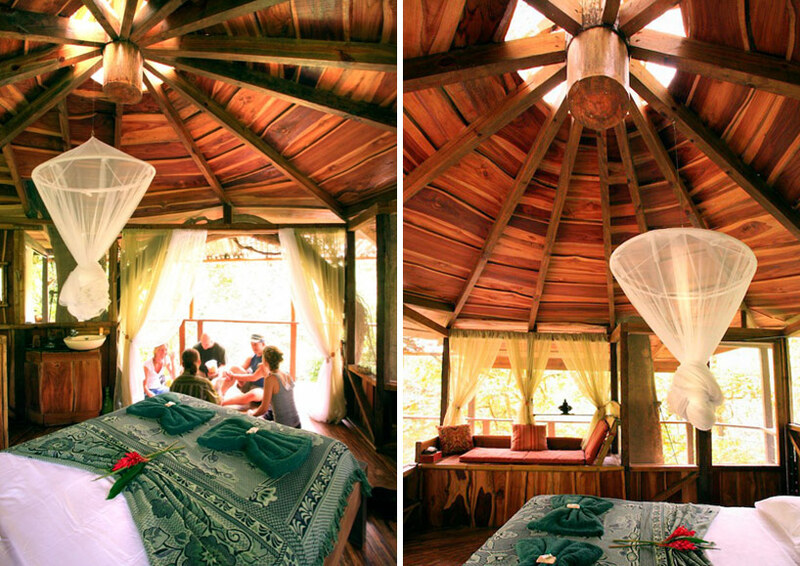 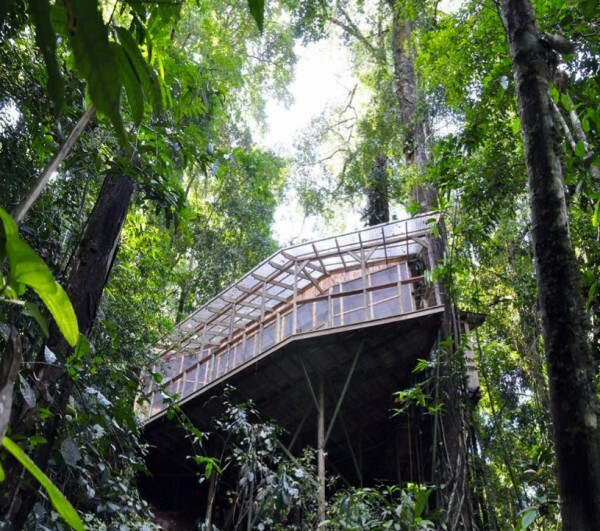 The many decks of the treehouses allow for relaxing moments to be one with the surrounding lush jungle and beyond. A covered deck is furnished with dining table and chairs providing a place for conversation or time alone of a cup of coffee. Another of the connected treehouses can be seen in the background. 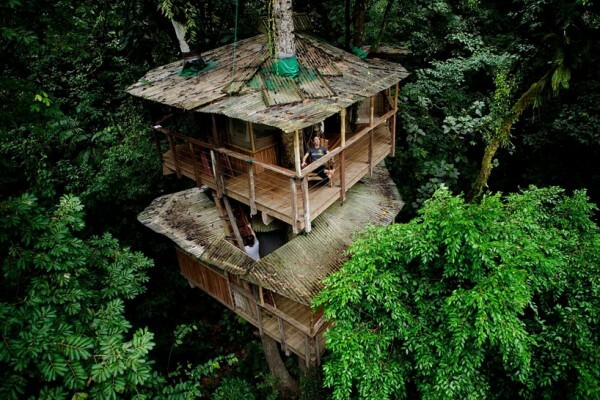 This surreal view shows how the house actually becomes part of the tree in which it is built around. This house is set among the trees but anchored to the Earth by wood beams and concrete forms. 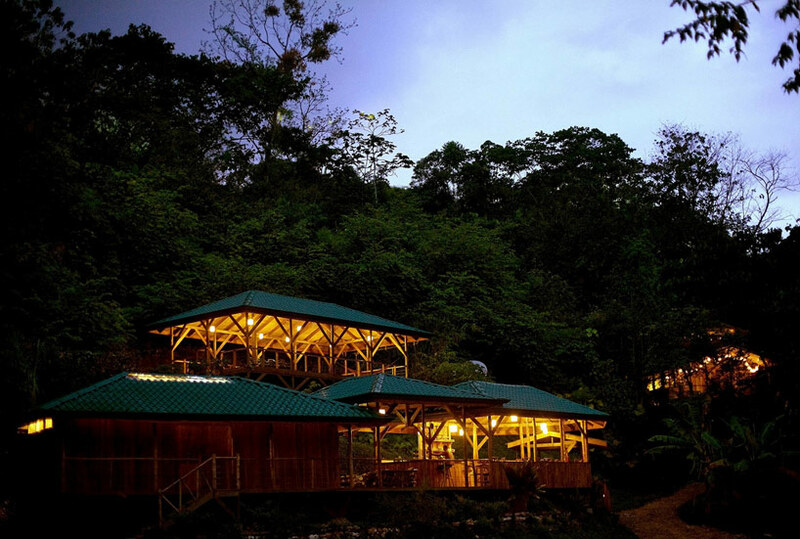 A nighttime view of the treehouse community shows several of the houses and how they are situated in relation to one another. 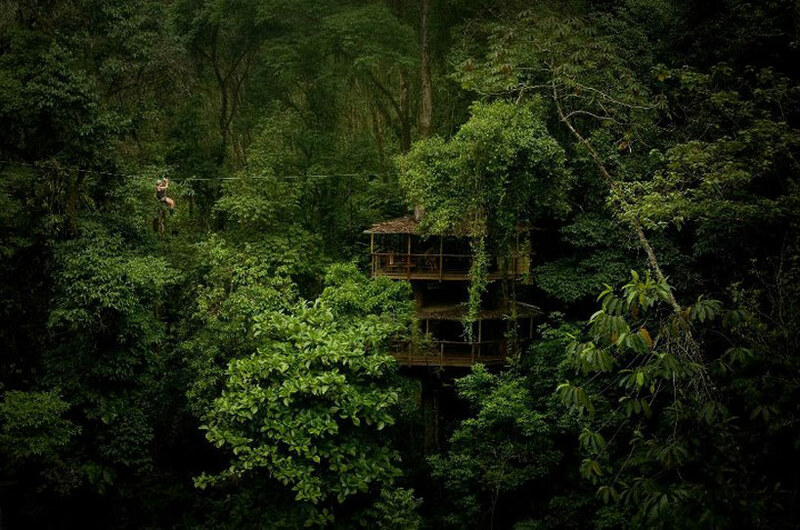 While some of the treehouses are connected by bridges, this one shows a zip line above the treeline connecting on house to the other. 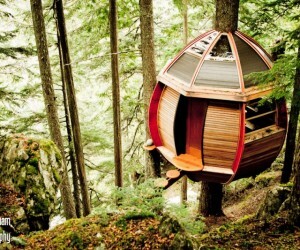 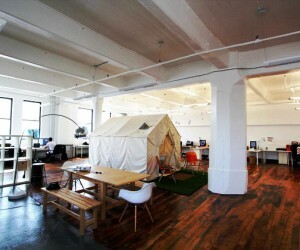 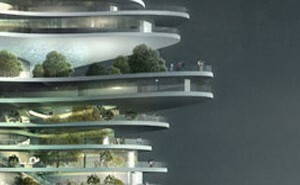 A bedroom is located at the top level of one of these tree structures with a circle peaked ceiling and a complete surround of windows giving way to the jungle beyond. 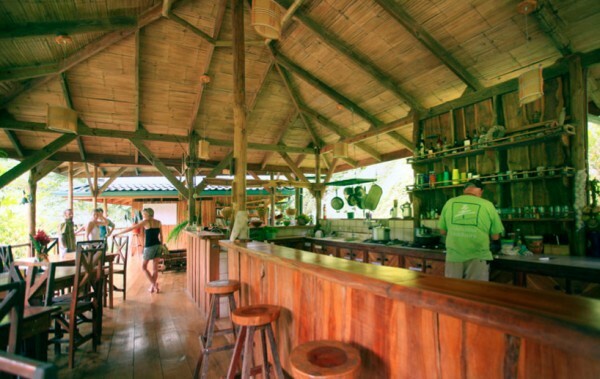 A communal bar offers a place to meet and relax with community members.